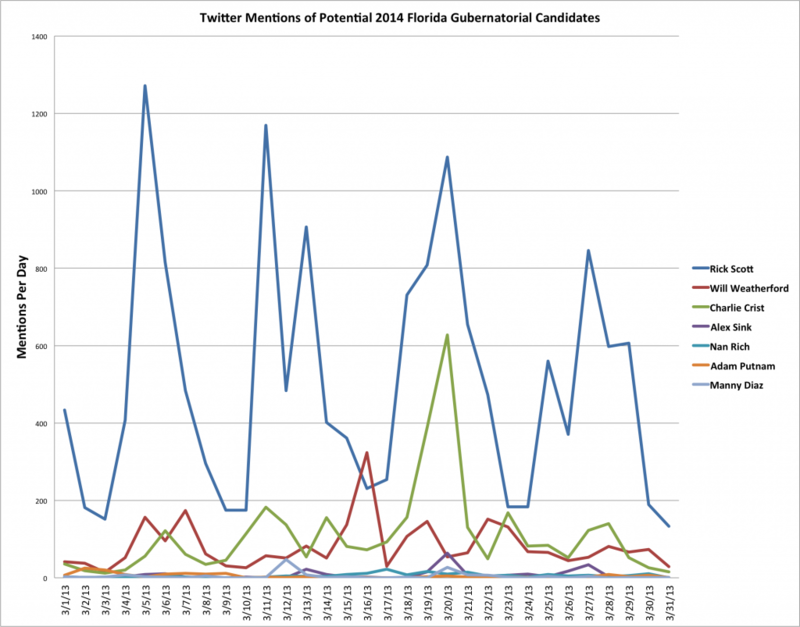 Rick Scott still dominates Twitter — as the sitting governor, you’d expect that. Charlie Crist is doing pretty well in mentions. Perhaps rumors of his announcing a run at the Kennedy King dinner in May will drive his mentions higher in April? 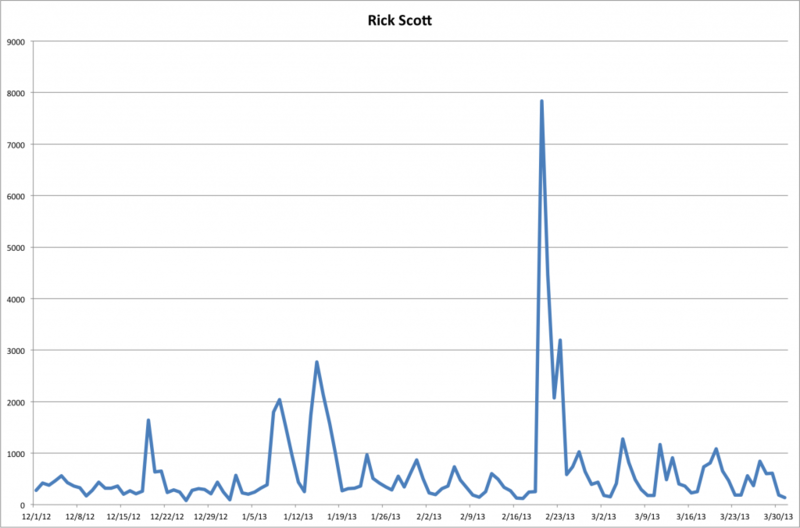 What we see is that Twitter activity for Rick Scott tends to be clustered on a 4-day and a 7-day cycle. 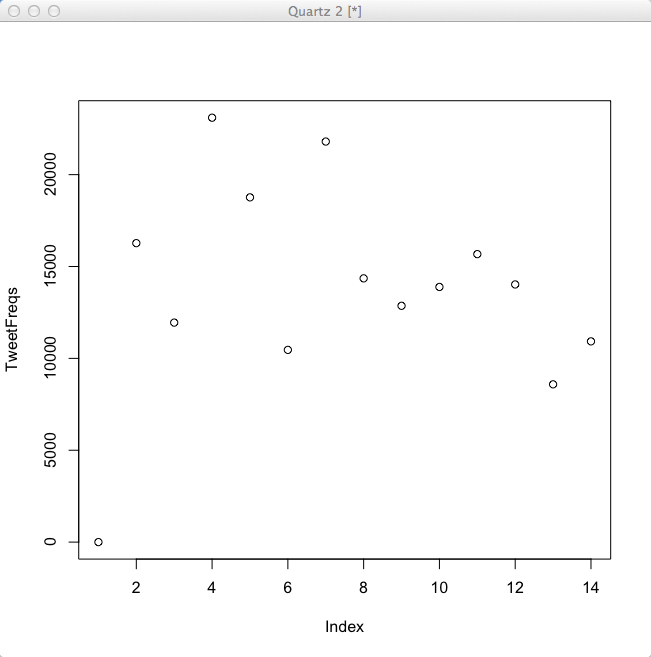 Eyeballing the (previous) chart, you can see the weekly cycle at work. One has to wonder if this isn’t some strange way governor’s office works — do they just send out news on Tuesdays and Fridays? I’m not sure — I’ll dig into this next month if this keeps up!